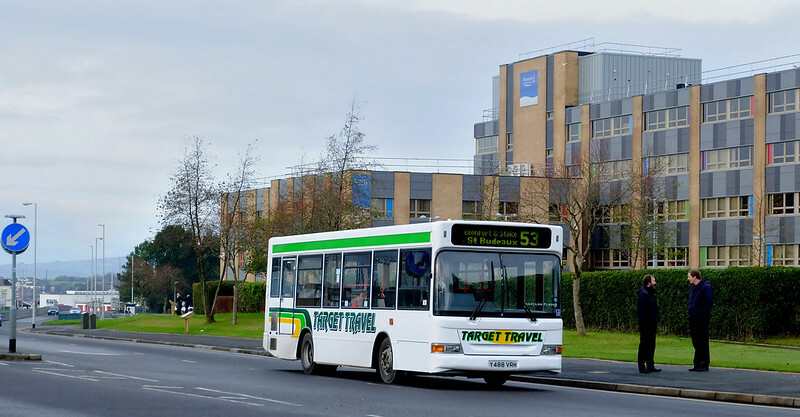 Plymothian Transit: Target Travel Transformation? Target Travel seem to have turned a corner recently with a much more professional look and feel about them than has been the case for some time now. The last few months has seen a few newer buses join the fleet all nicely presented in the smart new livery. The bus fleet has very recently also started carrying fleet numbers which I for one always like to see! ©Derek Cuff. 16 YJ55YHK Optare Solo, the other bus that has been in use on the Dartmoor Pony routes this week. Norwich Buses: Bus Stop Information: Is enough being done? Public Transport Experience: Rail Fares Hike Shock! Commuters Hit Hard Once Again! i like the look of the solo bus. Do Target still have ex Citybus Dart No 116, L116 YOD ?